The government are said to have filled over 1.5 million potholes last year, but they still pose a significant problem to road safety. They cause damage to the internal structure of tyres and the wheels themselves, often resulting in imbalance and vibration for the driver. Vibration issues are challenging for traditional wheel balancers to solve, due to the trial and error involved. 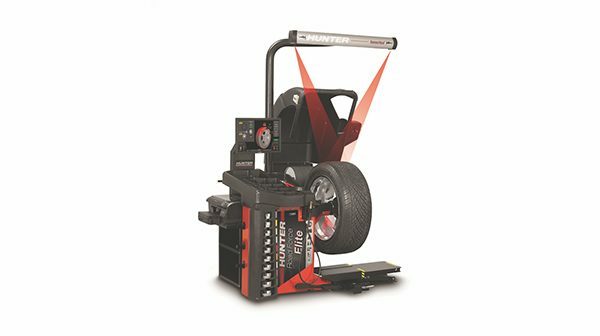 However, the technology available in the Hunter Road Force Elite (RFE) diagnostic balancer is said to diagnose and minimise these issues in less time than a standard wheel balance. The RFE differs from standard balancers – it measures tyre forces known as Road Force Variation (RFV) and Lateral Force (LF) to conduct a full diagnostic of the wheel and tyre assembly by applying a load via a roller to take the wheel and tyre assembly on a simulated road test. Once RFV is identified, the balancer provides a ‘ForceMatching’ recommendation, which matches the stiff spot on the tyre with the low spot on the wheel rim, minimising vibration to give a smoother ride. Where LF is identified due to the conicity of the tyres, the RFE advises of the best position on the vehicle to counteract it for a straighter drive. ‘Vision’ rim scan technology ensures the use of balance weights is minimised while improving placement for a more accurate balance and due to spoke identification during the scan, weights can also be hidden. 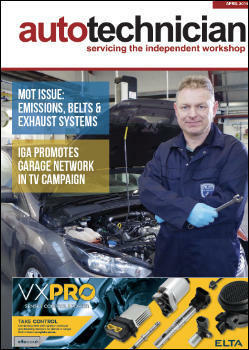 The in-built HunterNet system allows the results of the wheel balance to be emailed to customers directly.